Let’s not pretend that living in America’s hottest real estate market is a burden; still, the volatility can be maddening. Where else can you find yourself first in line at an open house, only to discover that the place already has three offers from an invitation-only open house the previous day? No place, that’s where. In what other city do they issue 27,000 permits for single-family construction in a single year? No other city. And where else does an oil company’s mass relocation lead to property values changing overnight? (Okay, there’s Fairfax, Va., but we mean change in a good way.) The fact is, knowing what and where to buy has never been trickier in Houston, which is why we polled dozens of real estate professionals for their expert opinions on the matter. Et voilà, the Houstonia guide to the 20 hottest areas of town, along with 5 up-and-coming neighborhoods whose pre-hot days are clearly numbered. It used to be, they say, that anytime anybody in The Woodlands ever needed anything, they had to fire up the SUV for the 30-minute trek to Houston: to shop, to dine in a decent restaurant, to … anything. Now, 39 years on, it appears the original master planned community really did have a master plan, so much so that residents these days find it difficult to leave at all. They don’t just shop and dine there, live and school their kids there. Increasingly, residents of The Woodlands are also working there, worshipping there, going to their own galleries, people-watching on Woodlands piazzas, or taking in La Bohème at the Cynthia Woods Mitchell Pavilion. 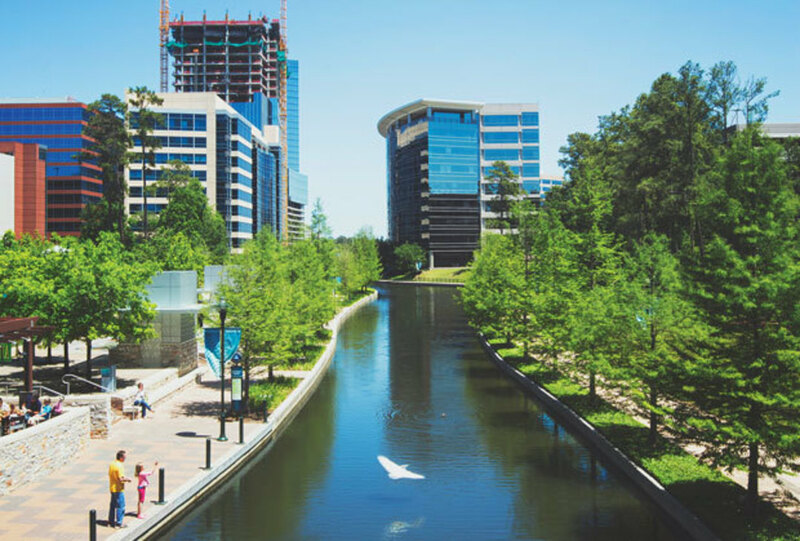 “The Woodlands is a complete community where residents can live, work, play, and learn,” insists Susan Vreeland-Wendt, a spokeswoman for The Woodlands Development Co.
Home prices continue to rise here as the community expands westward. That trend will likely continue with the large influx of Exxon employees expected to arrive by the end of the year. 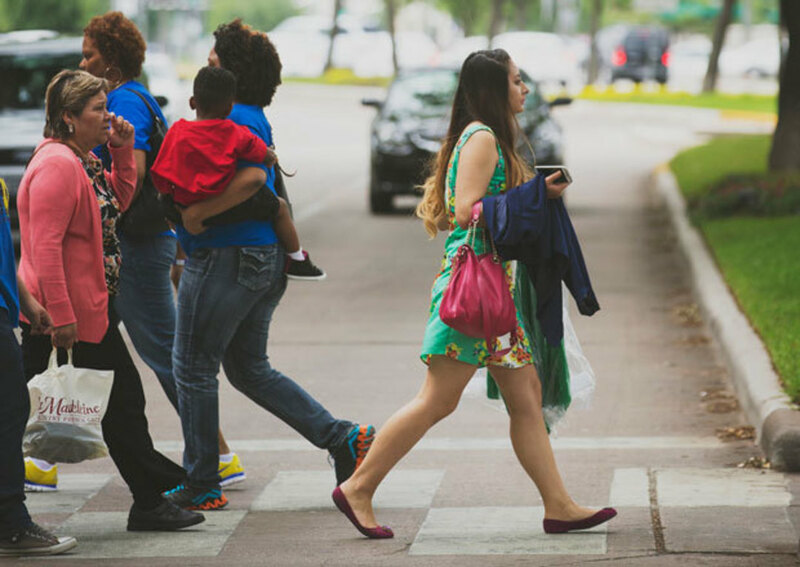 Twenty-eight thousand acres of sprawling neighborhoods long ago decreed that much of The Woodlands would be unavoidably car-dependent, but the Town Center area is pedestrian-friendly, earning it some of the region’s best walkability scores. It’s a bustle of upscale boutiques, sidewalk cafés and open plazas, many near a waterway—teeming with air-conditioned water taxis—that’s drawn favorable comparisons to the San Antonio River Walk. And The Woodlands’ dense, urban core is well on its way to becoming an island unto itself. Already home to a majority of the area’s 1,755 businesses, Town Center is becoming a residential center too, offering an expanding variety of lofts and townhomes. In addition, construction recently began on the 66-acre mixed-use Hughes Landing; it promises to further urbanize the area, giving Woodlands residents yet another reason to just stay home. As if they need one. Though to some Houstonians Sharpstown still conjures images of gangs and other urban thuggery, this neighborhood of mostly ’50s ranch homes is forging a quiet comeback. Yes, many of the crime-ridden apartment complexes that laid low the area in the 1980s remain, but on the back streets, single-family homes on good-sized lots are being refurbished and increasing in price. (Four- and five-bedroom golf-course ranchers on large, treed lots in Sharpstown Country Club Terrace now hover near $150,000.) Only a quick freeway zip away from the Galleria, downtown, and the Med Center, Sharpstown is perhaps Houston’s foremost haven for adventurous economical dining, thanks to its vast Chinatown along Bellaire Boulevard. Residents of this patchwork of neighborhoods just north of 610 proudly and justifiably stake their claim as “honorary Inner-Loopers.” Heights chic, in the form of laid-back wine bars like Plonk, dive-y gastropubs like Petrol Station, and casually cool eateries like Shepherd Park Draught House, has successfully pole-vaulted over the North Loop. Garden Oaks, established in 1937, is the wealthier and more redeveloped area of the two: beginning in the 1990s, a new generation of families discovered its rambling ranch houses and two-story, plantation-style mini-mansions sitting on huge lots amid mature oak, pecan, and magnolia trees. Homes here run a bit over $170 per square foot. But Oak Forest next door, with an average price per square foot of almost $140, is no slouch. 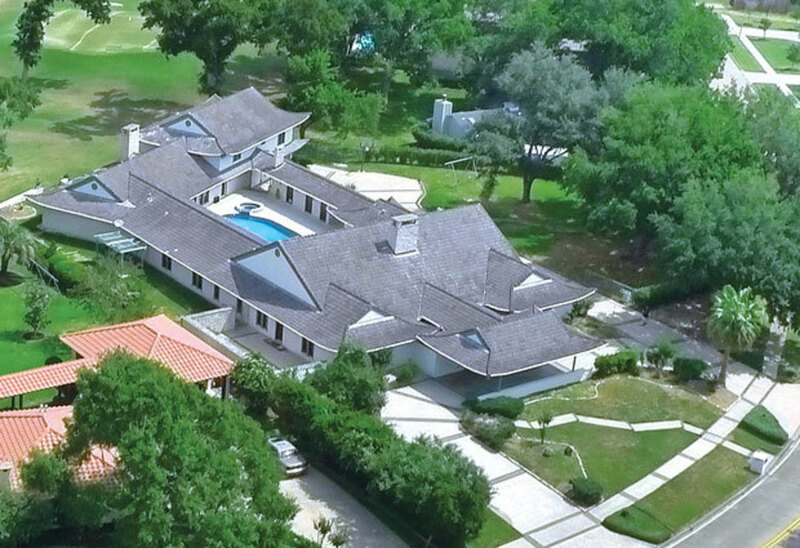 This ranch-house paradise, originally developed for returning World War II vets, is starting to resemble a baby Bellaire or West University, with some new homes cracking the $700,000 mark. Well-regarded Oak Forest Elementary is an added drawing card. Up until the last decade or so, much of Spring Branch had a rural feel. It wasn’t uncommon to see pastures full of horses, relics of its past life as farmland tilled by generations of German immigrants (a past life still present at the 165-year-old St. Peter’s church on bustling Long Point Road). The roughly 30-square-mile expanse is a hodgepodge of housing, from wood-sided bungalows in the neighborhood’s blue-collar eastern edge, to ’60s-era ranch houses in Spring Branch West, to new, half-million-dollar homes along Moritz Drive in the heart of the area. It’s no coincidence that builders have moved in on Moritz. Debbie J. Callan, a realtor with Martha Turner Properties and area resident, says parents flock to certain pockets south of Long Point. The reason is simple: in subdivisions like Spring Valley and Hilshire Village, kids are zoned to coveted Memorial High School, where they get a south-of-the-Katy Freeway education at a relatively bargain price. Spring Valley homes that cost $120,000 in 1996 have at least tripled in price since then, and in Spring Branch as a whole, the median price for homes zoned to Memorial and the better feeder schools has risen from $353,000 to $412,000, with new constructions often topping $1 million. Meanwhile, the area’s become something of a foodie haven. Sure, Long Point might be gritty, but it offers some of the best interior Mexican and Korean fare in Texas. Uptown, dominated by the 400-store Galleria and myriad other shopping opportunities, is many things: a crystal garden of glassy office towers, a magnet for international business, a place where you can drive a neon-green Hummer without arousing contempt. “They’re working on it,” says David Crossley of Houston Tomorrow, a nonprofit that promotes “walkable urbanism.” He notes that a combination of mixed-use high-rises and a fleet of public buses along Post Oak Boulevard promises to take one of Houston’s most diverse locales—Uptown’s nothing if not a luxury microcosm of the city itself—and make it more foot-traffic friendly, which is to say increase population density without further clogging roads. “It might be going too far to say that Uptown will be the center of life in Houston, but certainly it will be one of them,” Crossley notes. Downtown may have more jobs, but the three-mile radius around Uptown boasts far more residents (about 180,000), who couldn’t possibly fit in the area’s apartments and condos. And they don’t need to, thanks to thousands of townhomes, plus a pocket of ranch-home suburbia in the Del Monte neighborhood, right in the Galleria’s shadow. Still, there’s no question the future of Uptown is looking up—29 luxurious stories, to be exact. Beginning in 2014, the Hannover Post Oak will offer 355 units in its building at BLVD Place, a 21-acre mixed-use development on the southwest corner of Post Oak and San Felipe that will boast high-end shopping, office space, and a Whole Foods Market. Astoria, a 28-story residential tower with units starting at $1 million, is being built nearby. Montrose was born in 1911, a streetcar suburb for wealthy Houstonians, but just 50 years later it became the white-hot center of pretty much every alternative lifestyle Houston has known: beatniks, hippies, gays and lesbians, punks, slackers, and hipsters. The area became one of America’s LGBT hubs beginning in the early 1970s, although now, post-assimilation and post-gentrification, it’s estimated that less than 10 percent is gay. Still, the annual Pride Parade, a huge, family-friendly, summer-evening soiree, remains one of the neighborhood’s red-letter nights. Of course, the mainstreaming of Montrose has driven up property values. Bungalows and cheap apartment complexes are vanishing faster than bluebonnets in April, overtaken by pricey condos. Between 1994 and 2011, the neighborhood’s square-foot price catapulted from a shade over $75 to a sliver under $250—any house on the market here will likely see multiple offers. Many of the old guard are being priced out of the area. 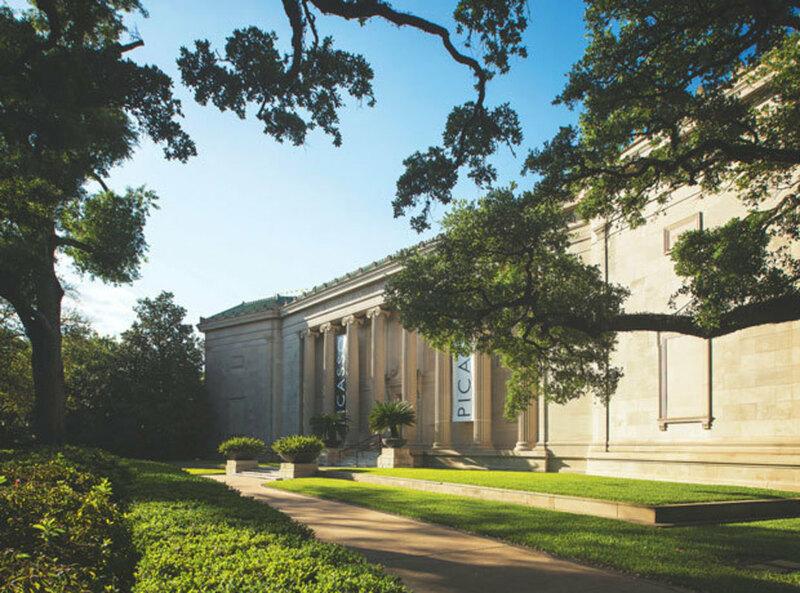 Yet threads of the bohemian lifestyle remain in Montrose’s tapestry, particularly in the park-like environs of the world-renowned Menil Collection and Rothko Chapel. There, on the thick St. Augustine grass under the live oaks, couples and friends spread blankets, throw Frisbees, and read, before heading out for a beer at West Alabama Ice House. It’s comforting to know that while not everyone can afford a home in this wonderful neighborhood, everyone can afford a Lone Star in the city’s collective backyard. It sounds hokey, but it’s true: for those who call this neighborhood home, nowhere else will do. Heights life isn’t just about architecture; it’s a unique subculture, an artsy little neighborhood that feels like a small town tucked within sprawling Houston. And it seems everyone wants a piece of it. Ground was broken on the Houston Heights in 1891, with the Woodland Heights added to the east 16 years later. Arts and Crafts bungalows sprouted across a prairie dotted with live oak saplings. Today, those same trees are enormous and iconic, yet miraculously, plenty of the bungalows remain (median mid-2012 price, $347,000, and rising fast in bidding wars). The houses’ front porches foster a friendly atmosphere, and it’s not uncommon to see neighbors having cocktails together after work. This isn’t to say that many of the mansions and bungalows haven’t met their demise in recent years—they have. But what tends to sprout up in their place are modern houses with a similar blueprint. There’s been an explosion of restaurants in the area lately: Zelko Bistro, Down House, Shade, Liberty Kitchen, and Revival Market have become neighborhood mainstays, dovetailing nicely with the timeless boutiques, galleries and antique shops on West 19th Street, along with the ice houses, oyster bars, and live music venues on funky White Oak Drive. The Heights is also the most bike-friendly neighborhood in the Inner Loop, and the crush of cyclists on a Saturday afternoon adds to a pleasant sense that the place is drifting backwards in time. This 2,000-acre community, currently under construction just south of the new ExxonMobil campus, will include a 150-acre nature preserve bordered by a flowing, kayak-friendly creek. “This is extremely unique for Harris County,” says Houston forester Bob Harper, who noted the tract is home to 100 different species of trees, including oak, magnolia, pine, and ash. “The nature preserve won’t be manicured to look natural. It will be natural and have the same variety of plants, trees, and animals that are there now.” Meanwhile, an urban slice of Springwoods Village will be organized into a series of walkable districts, including a mixed-use town center that sounds an awful lot like The Woodlands model just up the road. Of the 15,000 residents expected to begin moving into the community by the end of the year, planners say as many as 12,000 will likely work at the 385-acre ExxonMobil campus. 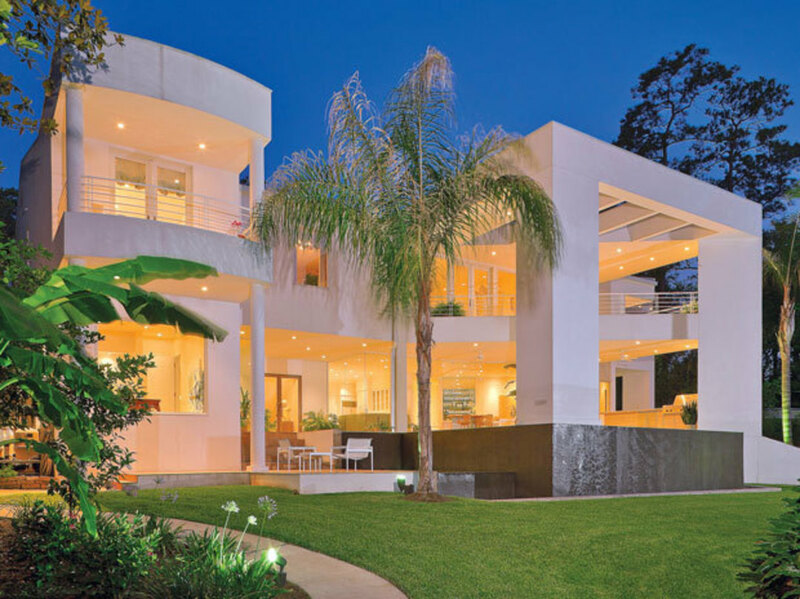 This modern, 6,144-square foot home, near the edge of the Washington Corridor, has an infinity pool, outdoor patios, a workout room, and a sport court. Price: $3,895,000. Only a portion of the four-mile-wide section of the city known as the Washington Corridor is an oontz-oontz party zone. 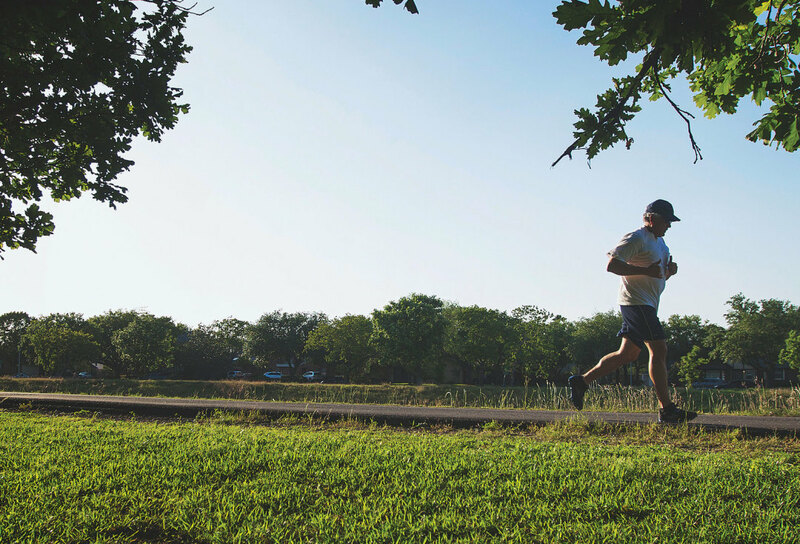 Outdoors-loving Houstonians appreciate the Corridor’s proximity to Memorial Park. 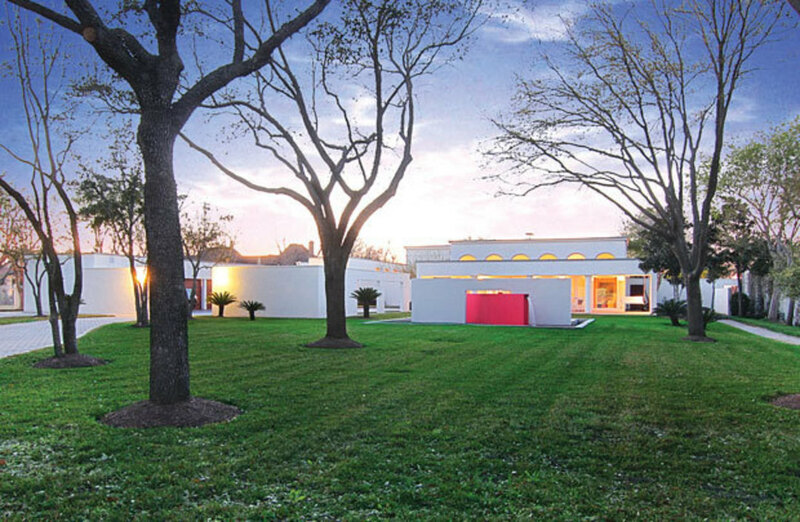 Just east of the park, an enclave of contemporary mansions makes the area feel almost like an extension of River Oaks. And artists and musicians love the Gulf Coast Colonial / Greek Revival homes in the Old Sixth Ward, Houston’s oldest intact neighborhood at 160 years of age. Not so many decades ago, Pearland was nothing but rice fields and a scattering of roughneck honky-tonks and not a pear orchard in sight (hurricanes and freezes had wiped them all out by 1916). But by offering solid schools, huge houses at budget prices, and a relatively short commute to downtown and the Medical Center, Pearland became a bona fide real estate miracle. Between 2000 and 2013, the city’s population increased from 37,000 to 104,000. Today’s Pearland is a mighty array of subdivisions and big box retail, quartered by Highway 288 and FM 518. East of 288, a rural feel lingers, while west Pearland is the essence of modern suburbia. Both are more diverse than their lily-white reputations suggest: 62 languages are spoken in the school district, and not every Pearlander is upper-middle-class or wealthy, contrary to opinion. “My kids go to school with a broad socio-economic cross-section,” says Kevin Murphy, an attorney who loves the fact that he lives 20 minutes from the city but can still keep chickens on his acre of land. Shadow Creek Ranch is the jewel in the crown of west Pearland. New homes start at less than $200,000 and range above $800,000 in this enormous development, where residents can frolic in 700 acres of green space and have access to four community recreation centers; jog, hike, or cycle 22 miles of paths; and shop at the adjacent town center. Like Sugar Land, Pearland is graduating from bedroom community to job center: Kelsey-Seybold’s 170,000 square-foot, 800-employee administrative office building, for one, will open there later this year. Barbara Jackson admits that for her, the ultimate would be to live on Manhattan’s Upper East Side, a short jaunt from world-class museums and Central Park. But as she gives a tour of her two-story home on a quiet block in Houston’s Museum District, Jackson admits she may have found the next best thing. 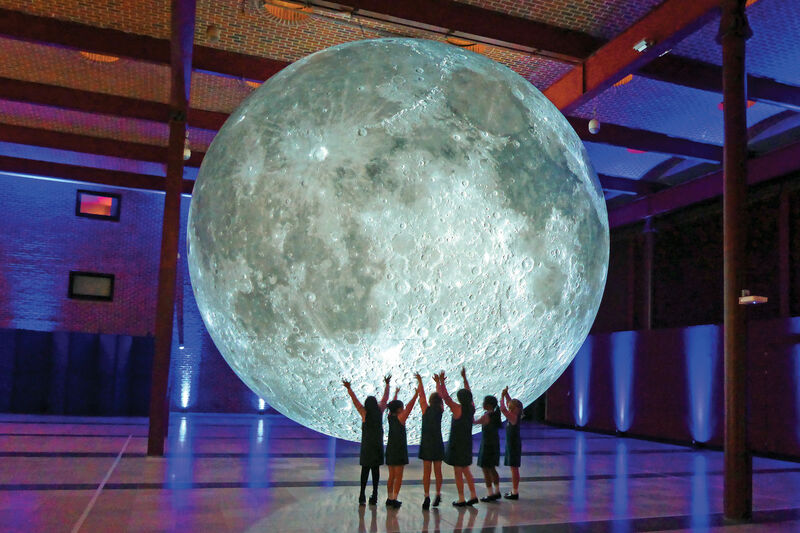 “It’s amazing that you can be in downtown Houston in a quiet, residential area and be several blocks from restaurants, galleries, public transportation, and some of the best cultural institutions in the world,” she says. 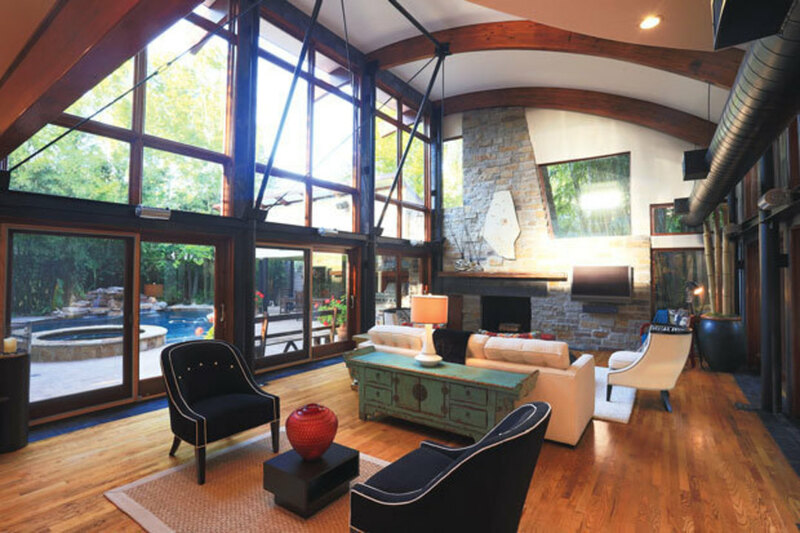 It was in 2011 that Jackson, an internationally known painter, and her husband, a University of Texas Health Science Center researcher, purchased their contemporary 3,000-square-foot home. 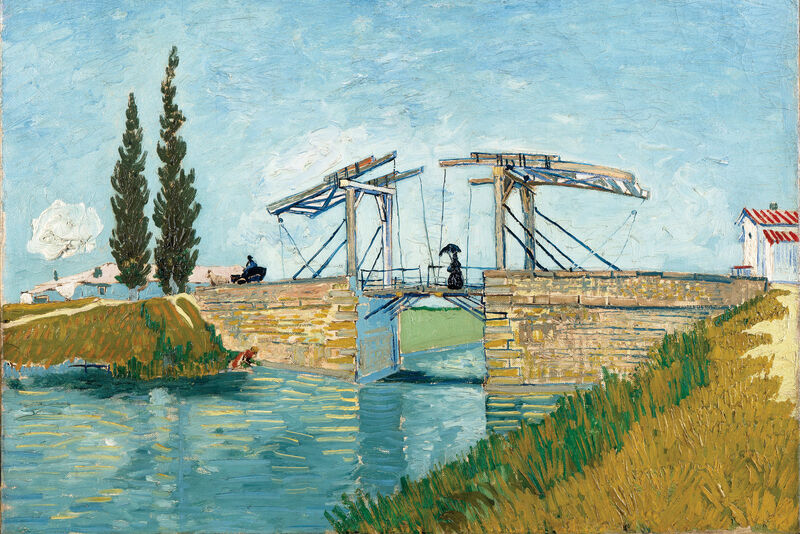 Just down the street from both the Museum of Fine Arts, Houston and the Medical Center, both Jacksons are within walking distance of their passions. The couple is part of a new wave of homebuyers who’ve found themselves moving back into the Museum District as the city’s real estate market has heated up. Lured by its parks, jogging trails, and always-interesting, pedestrian-friendly streets, the Jacksons never have a dull evening, what with a steady stream of lectures, exhibits, and cultural offerings at 19 nearby museums. The blocks near the couple’s home are lined with stately, pricey dwellings that veer from modern to classic, some nearing the century mark. But skip a few blocks east of Main Street and you’ll see prices plummet. Here, on the front lines of a gentrification fueled by first-time buyers, new homes are selling in the high $300s. Each day, it seems, developers are scooping up abandoned lots and sacrificing aging bungalows to make space for contemporary townhomes, all in the name of quick access to the Medical Center and downtown. Needless to say, demand remains high. Of those, she noted, six prospective buyers stood poised to make an offer if the contract fell through. A late-’50s creation of developer Ira Berne, Westbury came to a low ebb in the mid-’90s. Houston’s coolest-ever open-air mall, Westbury Square, was partially demolished. Area apartment complexes festered into free-fire zones. And Westbury High School had become unacceptable. Families moved out to Sugar Land if they could; only the old folks remained behind. These days, everyone seems to love Westbury, despite the comparatively snug square footages, for its still-reasonable prices—the average three-bedroom rancher comes in at around $146,000, one of the best bargains around. 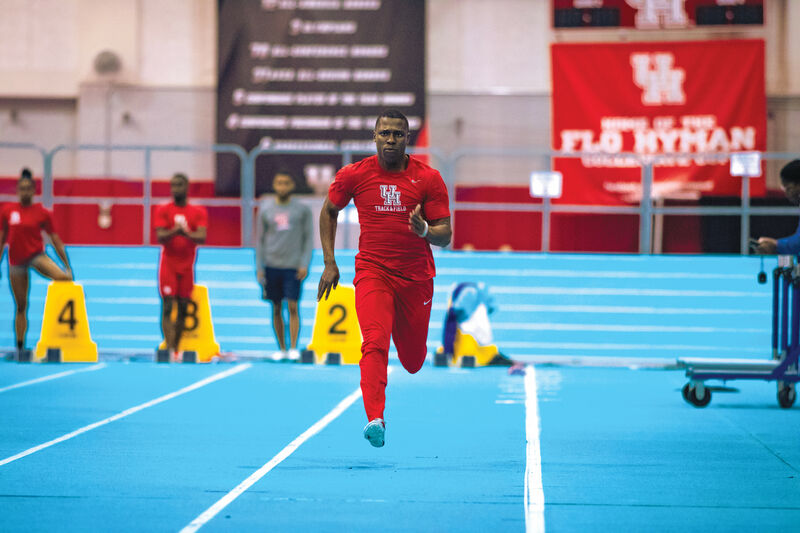 Meanwhile, two of the neighborhood’s elementary schools, Kolter and Parker, are among the best in the city, completing Westbury’s trajectory as one of Houston’s most impressive comebacks. Enticed by the location, the list prices, and the schools, technical writer Jeremy Hart moved here with his family in 2008, and he’s been pleasantly surprised by the area’s quirky traditions, including a yearly rodeo trail ride campout, karaoke night at the gay-friendly Cozy Corner, and the twisted Deck the Halls of Burlinghall holiday parade, which features Santa cavorting with Disney characters, Darth Vader, art cars, Boy Scouts, and Falun Gong followers. “It’s easily the most surreal holiday parade you’ll ever see,” he says. Although Houston’s origins can be traced to the murky waterways on the east side of downtown, the city’s growth has long followed a westward trajectory. As of now, 24 percent of the land in the greater East End is still covered by industrial smoke stacks and warehouses, but just under $100 million in new loft apartments and townhomes is under construction between US 59 and Dowling Street alone, according to the Greater East End Management District. District leaders say the plan is not to remove the neighborhood’s sharp, industrial edges, but to soften them over time via mixed-use developments, biking paths and a commitment to walkability. The area is also home to some of the city’s oldest Latino neighborhoods in Second Ward and Magnolia Park. Maybe that’s why residents both old and new consistently champion the cultural, not to mention culinary, opportunities the East End presents—it’s home to some of the city’s best Mexican restaurants and bakeries. Anthropologists hypothesize that our forebears mastered bipedal locomotion perhaps 4.2 million years ago, a prehistoric practice Houstonians promptly forgot when the car came along. And yet downtown, like some alienated tribe attempting to recreate the ceremonial dances of their long-dead forbears, a growing number of residents are attempting this ancient form of movement. As of now, only about 3,500 people call downtown home, but Bertinot expects that number to double in five years, with the construction of large residential properties on Main Street, in the old Texaco building, and across from Minute Maid Park. Two new downtown hotels and a new building for the High School for the Performing and Visual Arts are also underway. 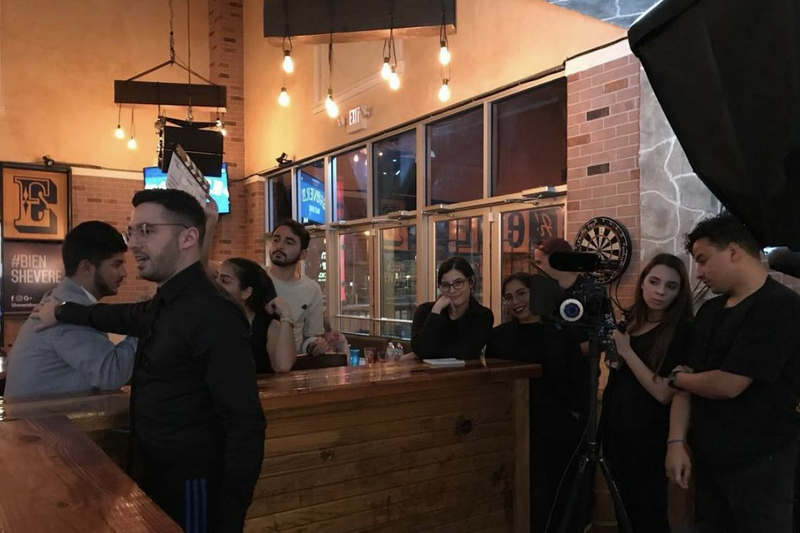 Meanwhile, an enterprising group of Houston restaurateurs (including the folks behind Anvil, Grand Prize, Oxheart, and Barnaby’s) has turned its attention to the historic district surrounding Market Square Park, driving even more foot traffic to the area. Home to some of the city’s finest late Art Deco manses and mid-century mod showpieces set on tree-lined streets, Riverside Terrace seems poised, now more than ever, to enter the Inner Loop gentrification derby. After all, it’s convenient to everything the Inner Loop has to offer. It also offers a lot of bang for the buck: “It’s one of the last places inside the Loop where you can get an acre-or-more lot, and it won’t cost millions of dollars,” says Gerald Womack of Womack Development. Home to Houston’s Jewish elite in the 1930s, and prosperous African-Americans in the late ’50s, Riverside saw its fortunes decline in later decades. But since the early ’90s, it has been on a slow and steady rebound, and on the neighborhood’s backstreets, buyers are restoring old homes to their former glory, complete with the old hardwood floors, solid-wood doors, and crown molding. Is River Oaks, a place where it can feel like lawnmowers outnumber actual residents, still Houston’s most prestigious neighborhood? Or is such a distinction still relevant when a successful young Indian doctor is just as likely to settle in upscale West U or polyglot Sugar Land than in the affluent Houston of yore, its mansions as frozen in time as its country-club ambience? 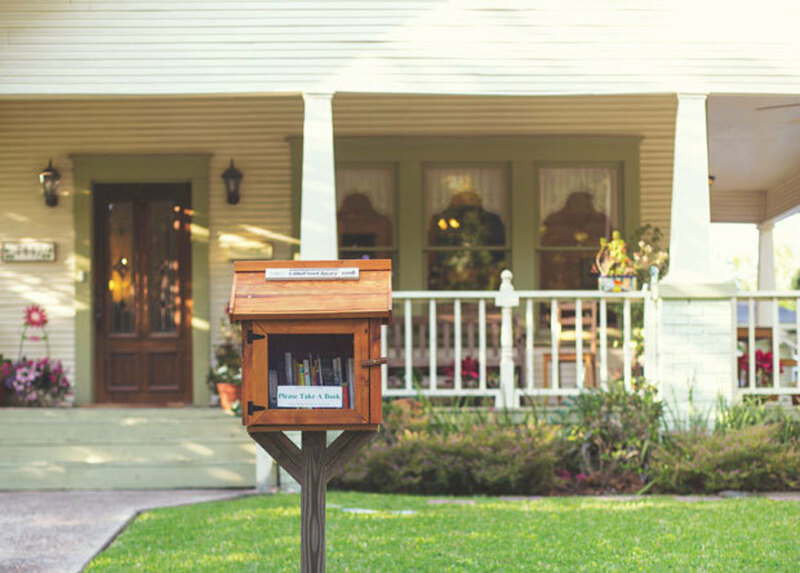 These are the questions that bubble up as you navigate the neighborhood’s serene streets. Oh, and here’s another one. With prices skyrocketing and wealthy enclaves like The Woodlands beckoning, surely demand for this blue-blooded barony has dipped, right? McLean says homes in the $1 to $4 million range are receiving multiple offers and selling within days of hitting the market. Prospective buyers will often make offers even before they tour a home, so desperate are they to land in the neighborhood. After all, if they lose the River Oaks cakewalk, where will they go? The answer, of course, is Southampton, Tanglewood, and West U, perhaps even the Galleria. But for those determined to be lucky—and when a neighborhood has just 1,600 homes, you’ve got to believe luck plays a part—River Oaks is still the ultimate address. And why not, given its beautiful streets, close proximity to downtown, the Galleria, the Medical Center, and some of the city’s best private and public schools? There is a lingering perception that the typical Braes Heights buyer has a face of exhausted resignation. He has fled the high prices and low inventories of his homeland like a wanton refugee. A refugee from West University, that is. The truth is a bit more complicated, especially among the latest wave of Braes Heights émigrés, for whom the leafy neighborhood is swiftly becoming the first choice among families graduating to a larger home. By luxury of space, she means perks that home owners in tonier climes can only dream of: large front- and backyards, a dense canopy, and, it must be admitted, the freedom from restrictions that elsewhere don’t permit the teardown-rebuild ritual that’s become a signature part of the Braes Heights experience. Ergo, that’s exactly what the area’s newest residents are doing: taking a wrecking ball to the low-slung, 1950s ranch-style homes and replacing them with modern two-story brick-and-stucco models. As expensive and time-consuming a real estate endeavor as that can be, it’s often cheaper than simply buying in a comparable neighborhood. Everyone seems to applaud the active neighborhood association, the nice mix of parks, and the new public library. Parents, in particular, praise the area’s schools, such as newly rebuilt Mark Twain Elementary and Pershing Middle. Bellaire would be … Chandler Parsons, a well-rounded glue guy with few great strengths but even fewer weaknesses, who is quietly, if arguably, the most complete player on the team. Bellaire, known for its City of Homes moniker and rebounding ability, is neither flashy nor exclusive, unlike its Inner Loop rivals, but its mix of location, price, schools, and recreation opportunities make us think it’s still underrated. Thanks to its proximity to 610, the Medical Center, Galleria shopping and downtown, as well as some of the city’s best schools, it’s also an increasingly popular one. Rigid construction standards and 14 parks are big draws for families, and while Bellaire has never been a bargain destination, newly constructed homes often start at about $400,000. Sales lagged during the recession there as elsewhere, but with price points like that, small wonder that demand has now reached levels Karpas says he has never before seen in his 30-year real estate career. If Cinco Ranch were a stick of furniture, it would be a La-Z-Boy—oversized, feather-pillow-soft, easy to fall asleep in. It’s hardly surprising then that splashed across the front of the neighborhood’s official brochure is a single phrase: “comfort zone.” Nothing stands out more about this master-planned community of 18,000 people southeast of Katy, the shining star of Newland Communities, than its devotion to ease and reassurance. What does comfort look like, you ask? Try this: pick a street—any street—in sprawling, 8,100-acre Cinco Ranch, and you can guarantee three things: the grass will look manicured, the streets quiet (sometimes unearthly so), and the homes inviting. Chances are, you’ll also be within walking distance of a park, a tennis court, a bike trail, a meandering waterway, or one of 10 recreation centers (including a beach club complete with a manmade beach), which gives this neighborhood an active, lived-in feel often lacking in other suburban hamlets. For retirees, there is Sunrise Senior Living Center, for kids, a children’s garden and top schools in the Katy school district. There is a golf course. There is La Centerra, a 34-acre town center with shopping and restaurants. Nine centers of worship are also sprinkled throughout the community, and that doesn’t include the yoga studios. Yes, friends, all this can be yours, but you must act now. Cinco Ranch was the No. 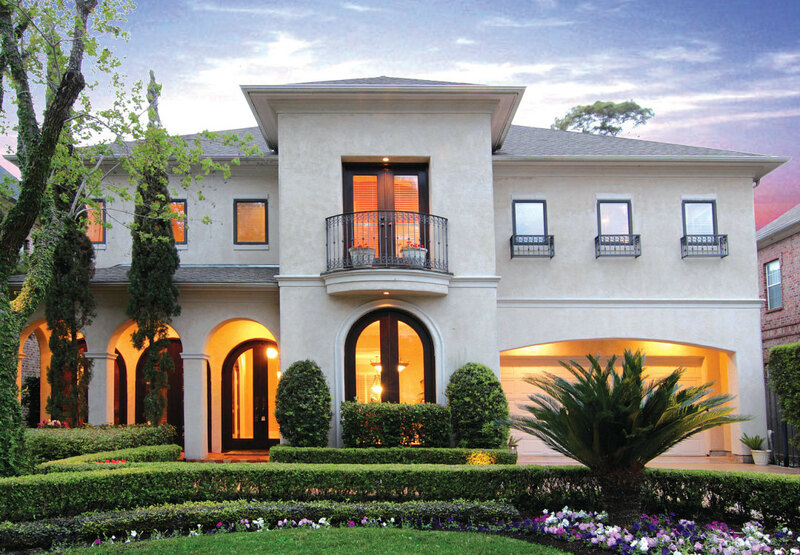 4 top-selling community in the United States last year, right behind The Woodlands. Maybe that’s because Cinco’s a relatively short commute to the energy corridor, making it popular with those in the industry. Maybe it’s the prices, which can go beyond the $1 million mark but start at the $180,000s, or maybe it’s the variety in housing stock, running the gamut from one-story patio homes to estates. Or maybe one shouldn’t waste time speculating and get over there before the place fills up completely. 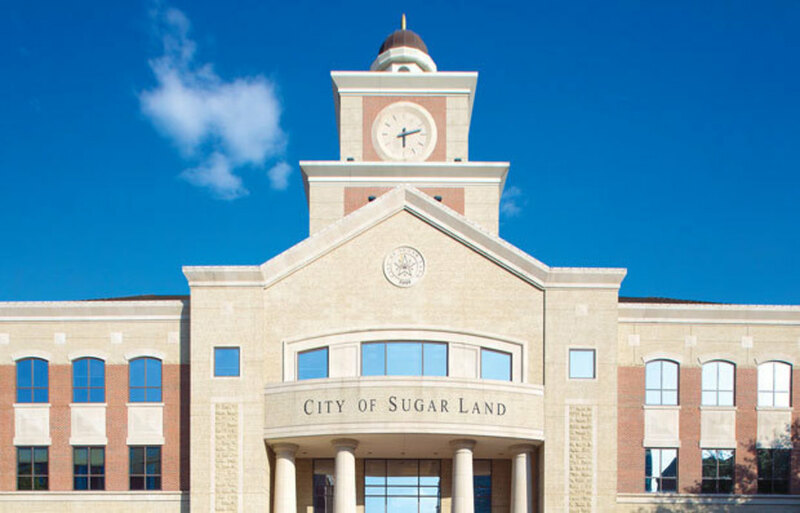 With its ethnic diversity—35 percent of its population is Chinese, Indian or Pakistani, while another 18 percent are African American or Latino— Sugar Land is like a mini-Houston, albeit one with less crime, much better schools, and many, many more man-made lakes. This contemporary, four-bedroom 8,425-square-foot estate in Sugar Land features views of Lake Alkire, ornamental fountains, a gazebo, marble steam room, and a pool. Price $4,500,000. One of the fastest-growing small cities in America (its population has increased almost tenfold since 1980), Sugar Land is evolving from an amorphous assemblage of gated communities into a true town, complete with a lively mixed-use Town Center, its own minor league baseball team (the Sugar Land Skeeters), and the international headquarters of a growing number of corporations. Telfair, one of the area’s newer master-planned communities, with most homes ranging from $400,000 to $600,000, has the usual plush amenities—pools, clubhouses, and trails. What sets it apart is the amazing array of social clubs: for seniors who play tennis, women who jog, men who play cricket, the Telugu, Gujarati, and Marathi peoples of India, and the area’s Filipino, Japanese, Vietnamese, and Chinese populations. And that’s one subdivision. In which the view changes from block to block, and so does the city. Sometimes trekking around Houston can feel like peering through a microscope. Pick a new area, focus the view, and you’re likely to stumble upon another city altogether, probably one with its own brand of cuisine. Memorial City may be the best example of this phenomenon. The area is comprised of dozens of subdivisions and six different townships, each with its own government, police, fire department, and personality. Serving as the area anchor is CityCentre, something of a kid brother to the Galleria—an upscale, mixed-use development with office buildings, apartments, a hotel, and movie theaters. Rising in dramatic fashion across the street is the futuristic Memorial Hermann Memorial City Medical Center, whose campus already includes a hotel and a retail center. The gloss abruptly disappears a few blocks south of I-10, replaced by the Memorial West area; think Pleasantville on steroids. 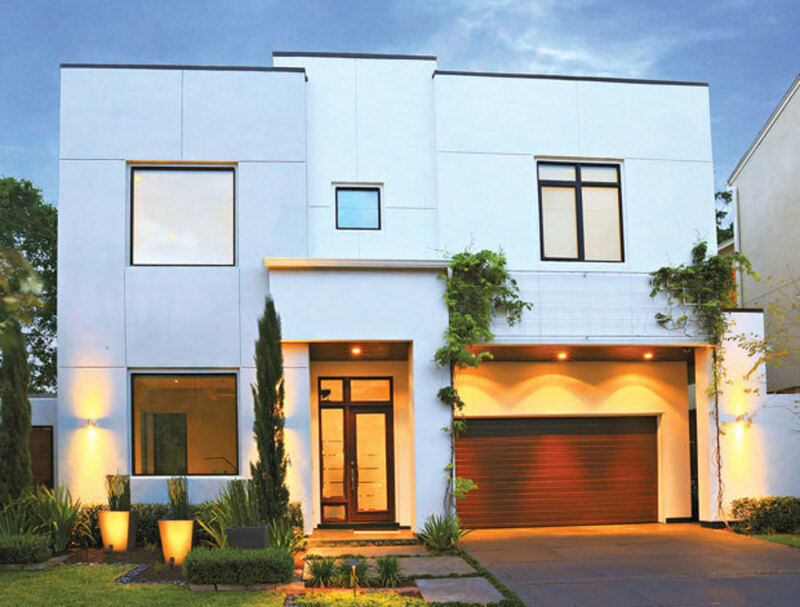 In Houston, there is arguably no neighborhood outside The Woodlands where it’s easier to get lost among endless blocks of manicured lots and large, single-family dwellings. It’s an area far from the city’s chaos, and one that’s also in transition. “We’re seeing young couples with kids who used to own a townhome in the Washington Corridor flock to this area for the schools,” says Julianna Lind of John Daugherty Realtors. “They love the area because the homes are older and they’ve got the energy to pull up the carpet and remodel the home, making it hip.” Lind said older homes range from $300,000 to $500,000, while newer ones can top $1,000,000. Throughout the area, for-sale signs and construction projects abound, with contemporary, Restoration Hardware-inspired revivals replacing vintage versions almost everywhere you look. This time around, the footprints are bigger, as are the price tags. It may not have quite the cachet of the Heights, its immediate neighbor to the west, but Brooke Smith is coming back, cottage by century-old, wood-framed cottage, street by shady street. 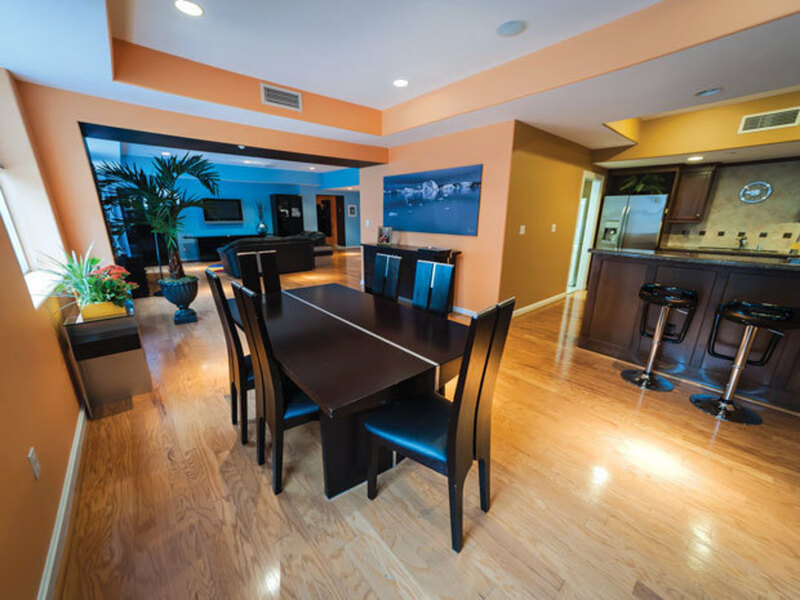 Unlike so many Inner Loop areas, it’s as much a remodeler’s paradise as a teardown/rebuild ’hood. “The houses aren’t so big – they don’t cover the entire lot,” says Christian Busker, owner of Renovative Thinking, which specializes in the area. 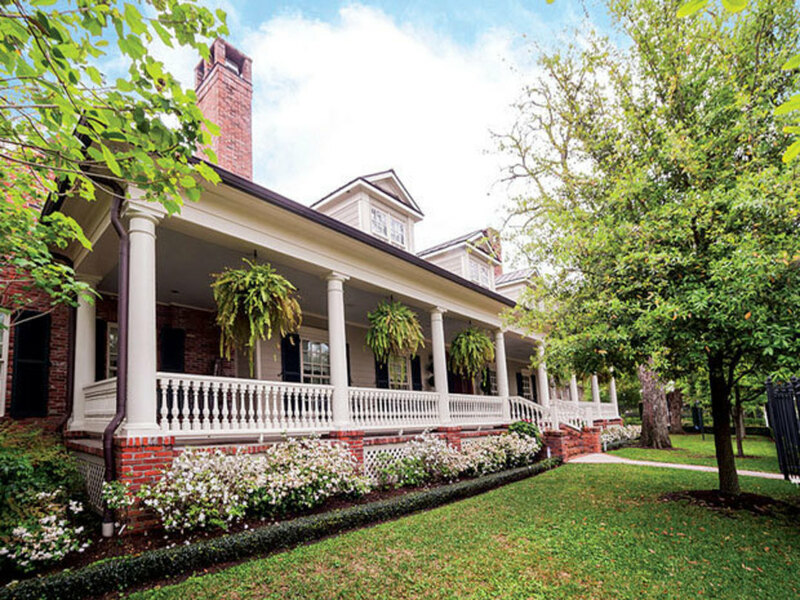 “You get a yard, some history and some architecture, and it’s close to I-45, 610, I-10, the new train line and downtown.” Always more blue-collar than the Heights, Brooke Smith offers picket-fence charm and front-porch-swing grace to empty nesters and small families. And prices are skyrocketing, going from $40 per square foot in 1994 to over $160 in 2011. These three post-war ranch-house neighborhoods tucked in the northwestern corner of the Inner Loop are enjoying their own scaled-down versions of booms in adjacent neighborhoods like the Heights, Garden Oaks, and the Washington Corridor. In part because of its proximity to Heights amenities, Shady Acres, a working-class neighborhood that predates Timbergrove and Lazybrook, is seeing the most teardowns. Whole streets of nondescript clapboard two-bedroom homes on cozy lots are giving way to row upon row of condos in the $350,000 to $400,000 range. Meanwhile, after years of graying, Timbergrove is seeing an influx of new families—some remodeling the two- and three-bedroom postwar ranchers, others tearing them down and rebuilding. In something of a departure, at least for Houston, many of the replacement homes are not gargantuan McMansions but homes that actually fit their lots. Timbergrove is an Inner Loop haven for nature lovers: a creek bisects the neighborhood, and West 11th Street Park offers 20 acres of relatively unspoiled Texas forest. Homes here range from about $250,000 to $500,000 for a new construction, while similar properties can be had for about 90 percent of that price in Lazybrook, Timbergrove’s slightly younger sister to the north. Most residents of these neighborhoods look to the Heights for nightlife and dining, although the area boasts a few excellent, low-key bars such as Shady Tavern, Big Star, and the wildly popular beer garden Cedar Creek, as well as some of the best barbecue and burgers in the city at Gatlin’s and Hubcap Grill, respectively. Cypress-Fairbanks ISD was named the Best Large School District in all of Texas last year at the H-E-B Excellence in Education Awards. “Schools are the main reason people look out here,” says Jim Mulholland, a broker with Mulholland Realty. In 2000, just under 350,000 people lived in the Cypress area’s ten zip codes. By 2010, 587,000 called the area home, in part because it offers more bang for the buck than comparable neighborhoods such as Katy. It’s no wonder that Cypress is pushing against its boundaries. To the west, the Bridgeland subdivision, currently in development, will one day comprise 11,000 acres. 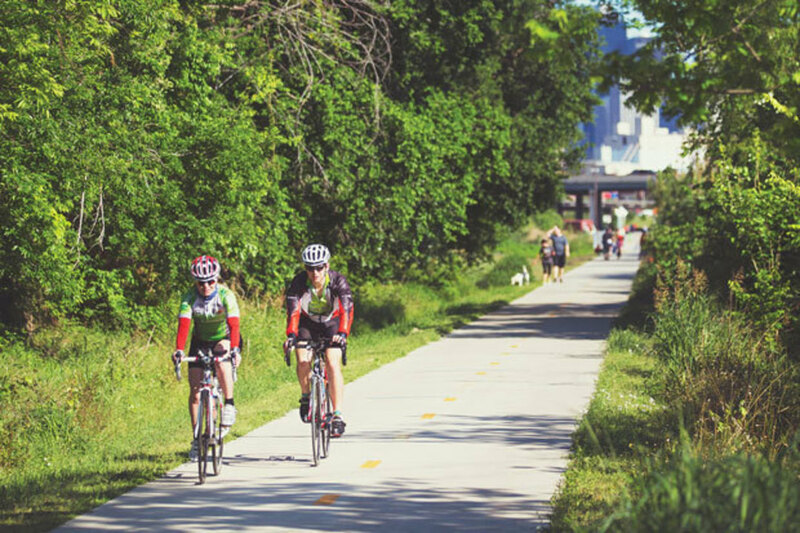 Since 2012, The Woodlands Corporation has had a hand in the project, hence the area’s buried utility lines and what will be 60 miles of interconnecting hike-and-bike trails. Also tennis courts, pools, and man-made lakes—not to mention a full-time social director, who is not to be confused with subdivision mascot “Bridgeland Bill,” a dancing duck in fishing attire. Now home to 5,000, Bridgeland is forecast to have 65,000 residents in four distinct “villages” by the end of the project’s 25-year build-out. Currently available three-bedroom homes start at $269,000, while mansions top $1,000,000.